PrivacyGuard provides cutting-edge technology solutions to proactively prevent identity theft. What’s more, they offer outstanding restoration service and customer support for those who’ve become victims of fraud. The company offers customers a 14-day trial for just $1.00, giving users the opportunity to test out the service’s full functionality before they buy. Once the initial trial period concludes, a PrivacyGuard subscription costs $19.99 per month, and includes the company’s entire feature set and tools. It was impressive to see such a straightforward plan, and that PrivacyGuard doesn’t dangle additional tools and utilities behind paywalls or hidden charges. The company’s monitoring services include several lines of defense that proactively protect customers while empowering them to defend themselves as well. PrivacyGuard performs daily scans of customers’ credit reports from all three major bureaus to guarantee that no suspicious activity has been added. Moreover, the company offers customers a monthly credit report alongside credit scores from CreditXpert. Subscribers can also personally track their credit scores throughout the year to ascertain that their identities have stayed secure. PrivacyGuard immediately alerts customers via email and text message if any kind of intrusion or privacy breach is detected. They examine a variety of sources for suspicious activity, including credit reports and scores, identity changes, unsolicited applications for loans and other types of credit, and more. For customers who have become victims of fraud, PrivacyGuard works hard to minimize the impact while helping users recover in little time. The company provides customers with up to $1 million in insurance to cover the damages and costs related to recovering an identity, as well as loss of wages and other problems that may subsequently arise. Apart from these efforts, PrivacyGuard also pairs each customer with a dedicated case worker to help navigate the complicated process of recovering an identity. This includes contacting banks and interfacing with credit bureaus to remove harmful items from customers’ reports. In addition, the company will assist customers with the restoration process after the initial fraud resolution is complete. PrivacyGuard offers a range of credit-related services that empower subscribers to keep track of their credit scores and reports. These include monthly credit reports and scores from CreditXpert, as well as credit score tracking that allows customers to review the progress of their credit over time. Additionally, customers can take advantage of the company’s credit simulation tools and educational resources, which are designed to empower users to take their finances in their own hands. PrivacyGuard also offers lost wallet protection and credit dispute assistance for customers looking to amend their reports. PrivacyGuard does not offer a mobile application for either iOS or Android, but mobile customers can access their online dashboard from any device that has an internet connection. Getting started with PrivacyGuard is as simple as filling out a quick form on the company’s website. Customers can choose to immediately pay for the monthly membership, or they can try the company’s $1.00 14-day trial period to test their services first. Once setup, PrivacyGuard will immediately find the pertinent information required to provide service to new users, and will begin scanning for any illegal or suspicious use of their identities. 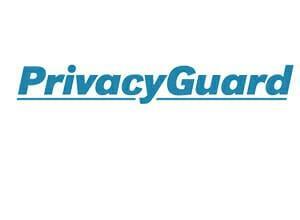 Customers that need to get in touch with PrivacyGuard can reach the company via their toll-free phone number or email. Apart from this support, the company’s credit dispute assistance is very effective. Customers are able to quickly remove erroneous or incorrect items from their reports with the help of experts. PrivacyGuard offers customers an uncluttered, no-hassle way to protect their identity and defend themselves against fraud. The company’s emphasis on educational resources, along with its simulator tools, empower customers to take their finances and protection into their own hands.